A picture by Kyter MC on Flickr. Check out also some loud noises of the Aventador. 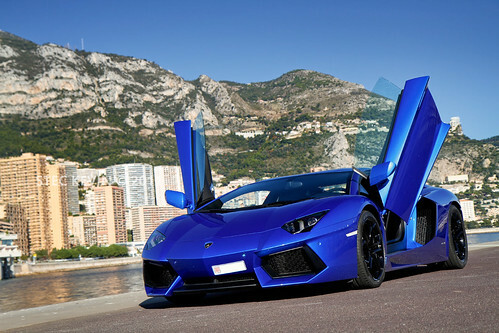 L'Aventador è proprio bella... e in blu è fantastica! In making an automobile or any land vehicle for that matter, a lot of factors are being considered: cost of material, safety, efficiency, and performance are only some of these at play on the drawing board of a car maker. A sports car however, in definition gives priority to performance above all other factors. By performance, speed is usually the first thing that comes to mind. Speed relies heavily on the power of the car's engine.